I just finished watching the Steve Jobs biopic movie starring Ashton Kutcher. Very emotionally brutal but incomplete coverage of his life story on how he believed in designing products that is cool at no expense on other people’s opinions. What’s that got to do with this review? Well, for one, the LG G Flex (D958) demonstrates a new form factor that is entirely unfamiliar with a smartphone we are familiar with. 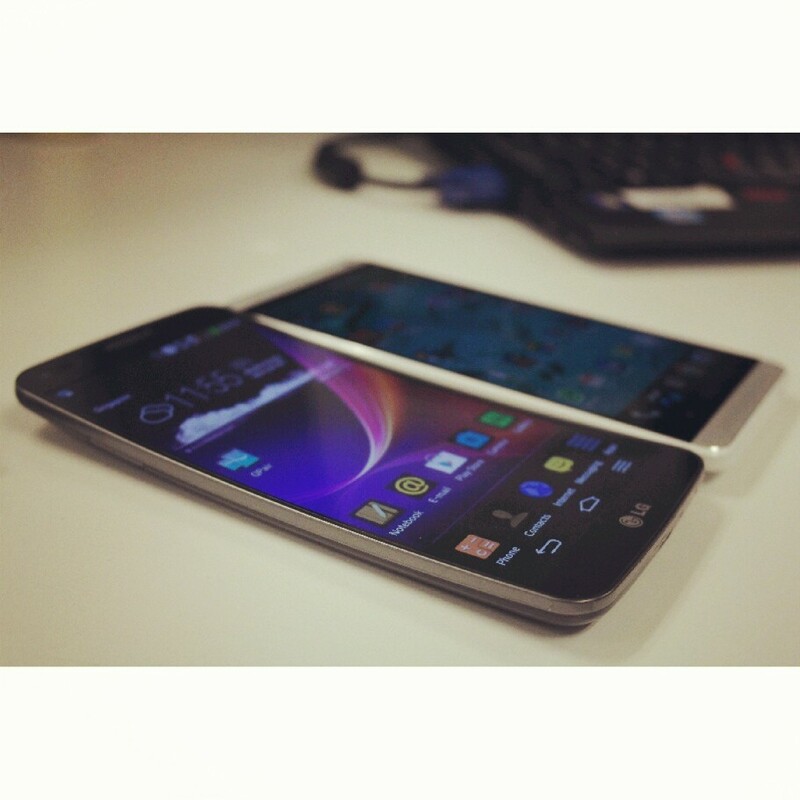 The LG G Flex is a 6-inch smartphone, almost identical size as the HTC One Max. Yet it feels less bulky because it’s lighter. I am already accustomed to large smartphones and so I am quite comfortable with the LG G Flex overall size. 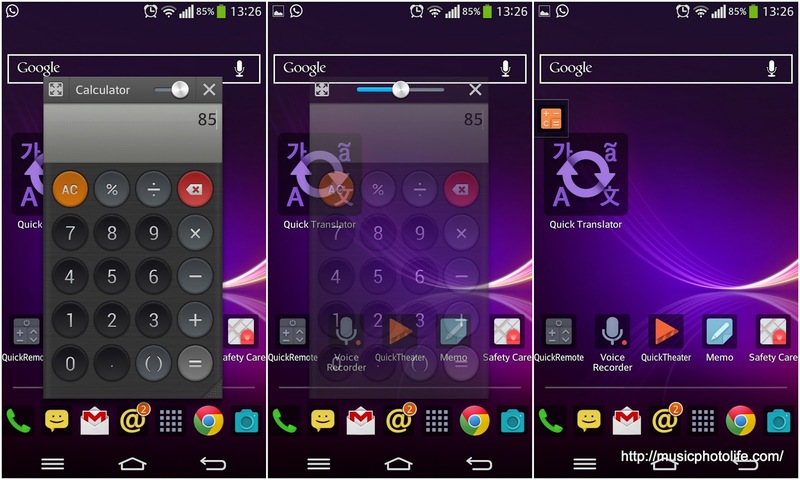 And there are several UI features that help the user handle the large screen effectively. The most prominent innovation this smartphone delivers is the curved screen. People ask: does it feel any different? In my opinion, no. That slight curve does not offer any remarkably improved usability. To me, it merely demonstrates an engineering feat. Aesthetically, it does not strike me because the curve is quite mild and not noticeable from far. A major trade-off to the curved screen is the reduced screen resolution. A 6-inch 720×1280 pixel count is a rather dated spec. I understand if it were a smaller screen size, but with a 6-incher, I would want to be able to view finer text details, more information on-screen. The screen does appear to exhibit blue tint when viewed at an angle, an OLED screen characteristic which I also observed in Samsung Galaxy S-series smartphones. Another interesting feature on the LG G Flex is the self-healing back, which is glossy yet with a very slight tacky feel, so it does not easily slip off your hands. The special coating does help to an extent: I tried inflicting a small light mark using a pen knife, and it disappeared the next time I checked it hours later. It will not heal if the damage is too deep. The back remained fresh and new despite being a well-used review unit. The next game-changing design LG implemented was the placement of power and volume buttons at the back of the phone. This new design was carried over from the LG G2. Does this work in practice? Hell yeah! Reaching to the buttons whilst holding the phone is so much easier. Plus, it comes with shortcut functionality. Press the volume-down button to start the camera app, and press the volume-up button to start the QMemo app. But what happens when the phone is on a surface? LG devise “Knock On” feature: just tap anywhere on the screen twice to wake up, or on the status bar to sleep. I loved this feature so much that I was looking out for similar third party apps for my non-LG smartphone (can’t find one that works exactly like LG yet). This feature does not drain your battery, although it does result in more frequent accidental activations, like when you hold on to your phone which results in touching the screen repeatedly. 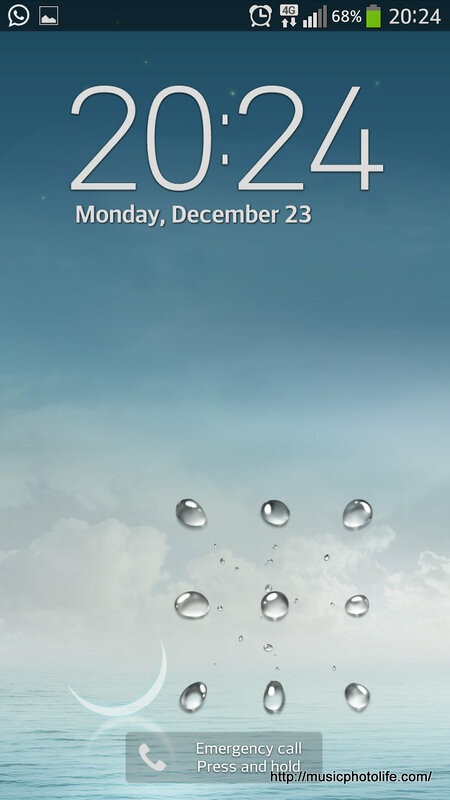 The LG UI reminds me a lot of Samsung TouchWiz, but in a good way. LG made it a little prettier, although still has that dated Samsung design. Under the dropdown notification screen, there is the quick settings icon, the QSlide apps, the brightness bar, the call volume bar. These already fill up half the notification screen. I really like the ability to customise the lower touch buttons, and to swipe the buttons to the left or right for one-handed operation. Finally someone designed the buttons to be so useful that for once I preferred on-screen touch buttons over the off-screen fixed touch buttons. On the same note to facilitate one-handed operation, the 9-point pattern lock can be invoked anywhere on the lock screen and not fixed. Just touch on the screen and the pattern lock will appear around the area that you touched. The lock pattern is also smaller so my finger need not drag all over the entire screen area. 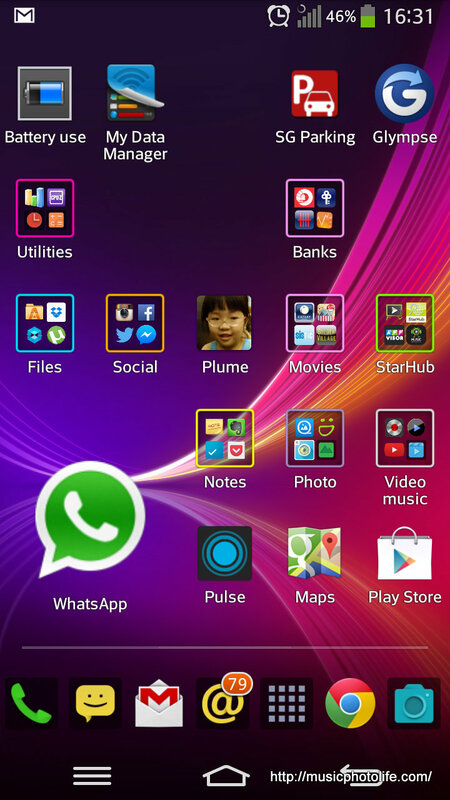 I also found out that LG has made the homescreen icons “smarter” and more customisable. For instance, the calendar app icon looks deceivingly normal, but when you edit to resize the icon, bigger than 1×1, it will automatically convert to a calendar widget. You also can replace the app icons with other graphics or photo images. You can even resize a standard app icon to 2×2. Something that LG learned from Windows Phone? Thumbs up! I also like the QSlide, which I also tried on the LG Optimus G last year. Besides the usual floating window which can be faded (maximum 2 apps), it can also now minimise the QSlide apps to the side of the homescreen as docking icons, by pushing the app out to the sides. This is similar to Sony Xperia Z Ultra. Another benefit for the QSlide feature is that when you are running the QSlide-supported apps on the full-screen mode, e.g. video, there is a pop-up icon that allows you to easily convert to a floating QSlide window. This means you don’t have to intentionally start an app using QSlide before you decide to just pop it up during the course of using the app. 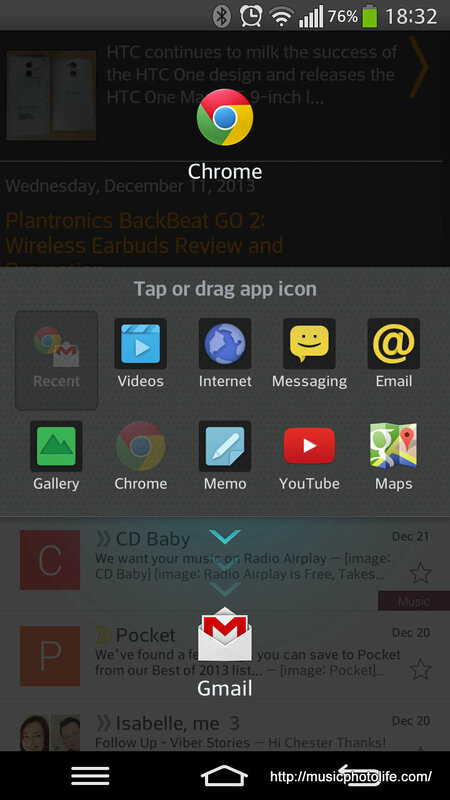 Then there is the Slide Aside feature to help you multi-task by keeping up to 3 apps in the notification list. This feature does not quite facilitate multi-tasking as I had expected. Firstly, it requires a 3-finger gesture to get it slide-aside or retrieve the saved apps and I find this gesture quite hard to achieve at one try since there are chances that the active app mistakes it as a normal finger gesture. Second, the saved apps do not run on the background. I would prefer to use the existing Android recent-apps list to toggle my apps. 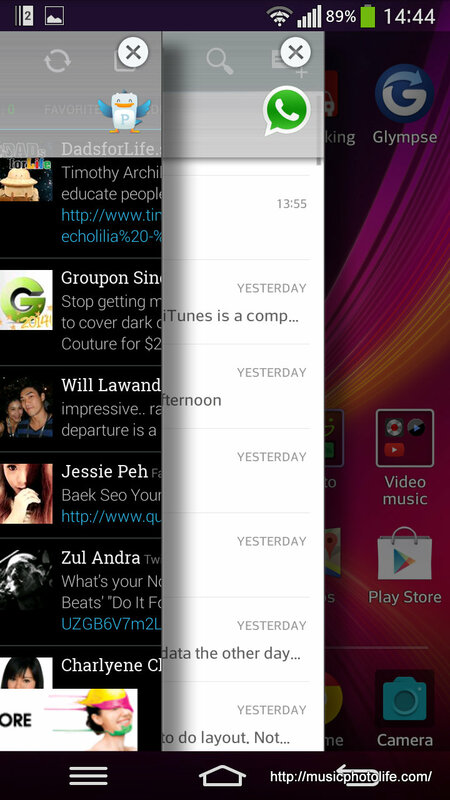 The split window is invoked by holding the back button, just like Samsung, except that there is no side bar to toggle. Press and hold and you get an overlay window to help you choose the apps to go to which side of the screen. As of now, there are only a limited number of apps, just like when Samsung initially introduced, so it would take a few more evolutions before LG catches up on this feature. Doing screen capture could be a little tricky because you need to press both power and volume down button. The good news is that you can simply use one finger and try to depress both buttons together. However, you have to make sure you depress the power button first followed by volume down. Doing the other way will adjust volume instead. Saving the best for last, the battery life is astounding!! I thought the HTC Butterfly S was good, but this is magnificent! I am constantly getting 50% remaining battery life by the end of the work day. This simply allows me to use the LG G Flex to my heart’s content, turning on whatever background services I desire, without fear of a flat battery. 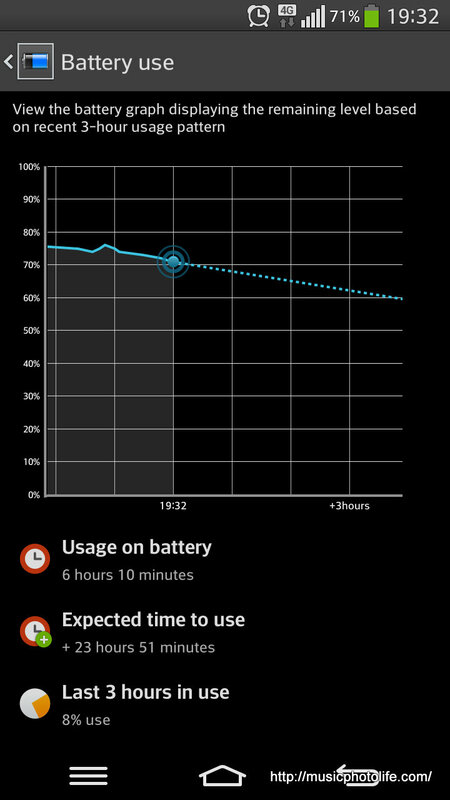 I also like the battery app, which plots an estimate drain and usage history. This is almost like those paid battery monitoring apps. Among the high-end smartphones I have reviewed, LG is one of the less inspiring ones. The still image quality is slightly above average but lacks the punchiness compared to Samsung Galaxy S4. 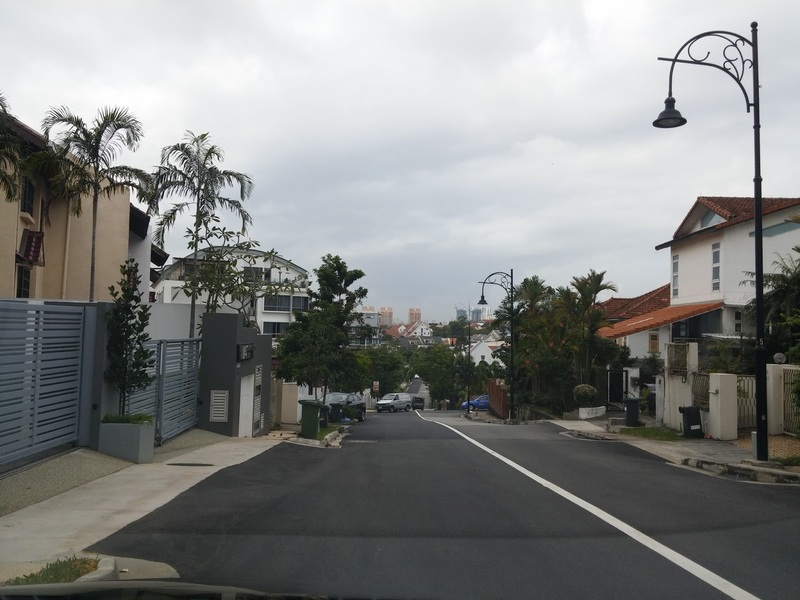 The video image quality lacks shadow details, is muddy and not sharp. On the whole, it still produces better quality than low- or mid-tier smartphones. The LG G Flex unique selling point is the curved screen, but I would not buy just for that. What I would pay for is the extremely long battery life, most certainly due to the lower resolution screen, and the intuitive UI that contains some of Samsung’s TouchWiz wizardry, though you would get most of the same user experience on the G2. I am not wowed by the camera but it is still acceptable for me. 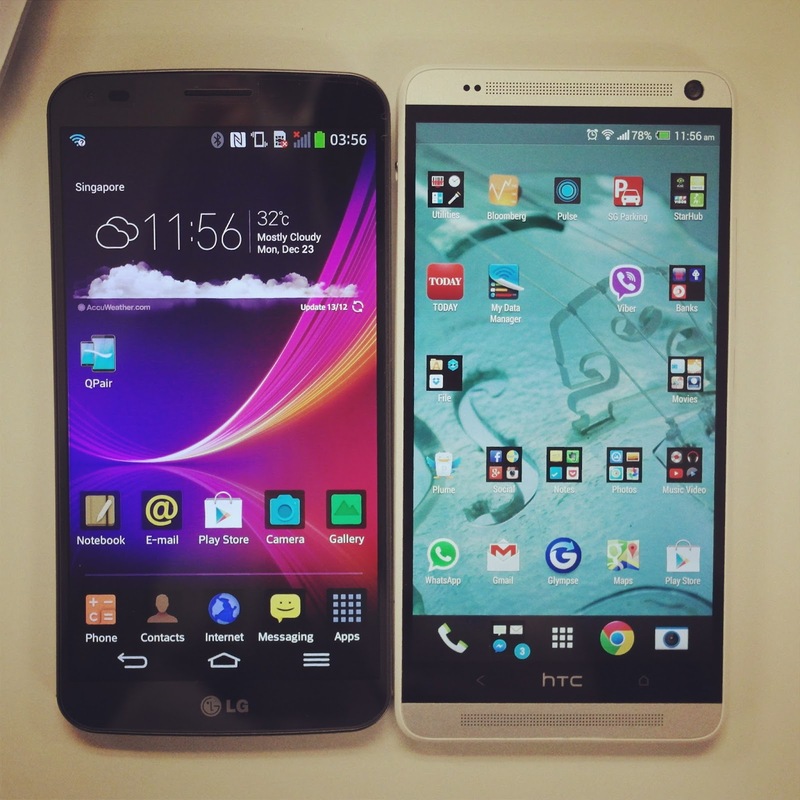 What I can say is that the recent LG smartphone models are really user friendly. If the price were a little less expensive, I wouldn’t bat an eyelid to get one for myself. Pingback: Music.Photo.Tech.Digest: 15 Feb 2015 – Music.Photo.Life.